Hi, thinking about branching out to the Lego train sets (current collection mostly Star Wars, but not a big fan of the re-hashes and clone wars stuff at the mo. - could be i'm burnt out and need to take a break!). Would the 7939 Cargo train set be a good start or the 7938 passenger set? Ideally looking for the first set with all the power functions, with a view to then expanding to the lovely Emerald Night and the Maersk. Any train collectors here and any recommendations? I'm in your boat, so to speak. I'm starting to branch out in trains, but my past, present, and future collection is already a jumbled mess. The first official Train sets I received were sealed packs of curved and straight rails for the 4.5V line from 1980, as well as a set of manual switching points. That was in 2007. The first actual Train set that was a locomotive was the Emerald Night, a set designed with Power Functions in mind that I got earlier this year. However, now I really want 4564 Freight Rail Runner (from 1994), which is from the 9V era. So I would recommend to you is to not have my "good" fortune and focus on cultivating a collection that does not span multiple eras and components. That new cargo train coming out later this year looks like an ideal place to start. Maybe I'm biased because it looks like an upgraded 4564, but that's my two pence. The Emerald Night is slated for retirement soon. Amazon has it listed as "discontinued from the manufacturer" and there have been other rumblings. I would advise to not wait too long before purchasing this set. It's a brilliant set, by the way! I agree....the Emerald Night will soon be discounted. Recently I picked up a couple more under these assumptions. Regardless, it's a great set and I forsee it selling 2x the MSRP not long after retirement. Fully agree - buy the Emerald Night before it's retired as it's almost certain to rocket in price the moment it's no longer available. Personally I started out buying trains and now own both the cargo and passenger, the hogwarts, emerald night, toy story western train and now the maersk train. I know it sounds like I am bragging :-) but actually I am just letting you know I have all the available ones right now and if I had to choose only one set I would go with the Emerald night. It is a very pretty set (not that the others are not) and like others have said it is going to be discontinued and I guarantee it will be one of those sets that skyrocket, and once you get into the trains you will wish you got it. As far as just picking one of the two that come powered....the cargo or passenger...I personally would probably go with the cargo on that one. Again, not because I dont like the passenger but I think the cargo will be retired sooner than the passenger. Any of the sets you get you will enjoy as they are all nice, but I tend to buy strategically as far as sets retiring. Good luck though, and let us know how you chose. I have yet picked up the 7938 Passenger Train set. There's something about that set I just don't like. To me, it's just too bland. I do have a couple of the 7939 Cargo Trains sets which appears much better. However, using the review scores on Brickset....the passenger train scores a bit higher. Am I missing something? Wish to hear from someone who has both and compare the two. ^ See my message above - I own both and prefer the Cargo train. I bet the vast majority like the Cargo vice the Passenger. Not just based on the number of pieces, or having a higher price tag, but the playablility is what's key. Among other things, a good quality that 7939 Cargo Train has over 7938 Passenger Train is its expandability. You could mix and match it well with other cargo car sets or build your own with any range of colors and it wouldn't look out of sorts. @rocao...an excellent point. I see the Passenger train as boring and can't see paying the price to purchase it. Like I've mentioned, "it's just too bland." What do you think....buying this set or spending on another? Sure, in a perfect world...why not both. ^ Both - LEGO trains don't come along that often (we're truly spoiled at the moment with 4 different trains on the market), so make hay while the sun shines ! Yes indeed. The Passenger Train is built to a price point and it shows. It's still a lovely set but the Cargo Train has much more play value, becuase it has more in it (and it's a significant jump in price). Heed DrD's advice and buy both. LEGO trains are rare items in the overall product range and everyone should own them all. I do. ^ As a true train afficionado, Martin, which is your favourite train of the lot ? OK..twist my arm "dr..." and "Martin," I'll be sure to purchase the passenger train. I'll maybe wait for TRU deal. Any now or upcoming? I was in the same boat as you and decided to jump on board (pun intended?) with the new Power Functions trains last year as well. I have to agree with the others who said start with Emerald Night. And, now that there is a non-rechargeable train battery box available through [email protected], you don't have to spend as much on the PF stuff as you do the train itself. You can always put in rechargeable batteries if you wish. Another thing to consider doing is stocking up on curve track if you can find some still for sale. The flex tracks are nice for some applications, but they are no substitute for having real curves. Not sure if Lego plans to reintroduce a track pack with curves or what. I suppose that's once nice thing about getting 7938/7939 - you do get some curve track. Looking forward to 3677 this August (looks nice in Youtube vids - assuming those are the real deal). Of all time? 7740 without a doubt. It's iconic and was every schoolboy's dream when they woke up in 1981. For me, the 7777 ideas book was stuffed full of dreams. I so wish I still had my pristine copy from back then. The 4558 Metroliner (or 10001 reissue) is also a lovely set and the 4547/10002 Club Car is a stunning addition to the Metroliner. It's a close second of all time for me. It all depends on your personal preference. For me, I am most interested in modern cargo trains. Maybe because one of my childhood sets was the 4563-1: Load and Haul Railroad. In any case, like others, I find the current passenger train boring. The cargo train is much more interesting and is a very good value. Emerald Night is a beautiful model that is hugely popular. However, I'm not too interested in historical steam trains. Maersk train, however, is what really has me excited. It is just a fantastically detailed model. That one I think is a must buy. I don't own any of these four sets right now, but am planning to get the cargo train and the Maersk train. If I had to choose only one, I'd buy Maersk. Definitely agree with that ranking and for the iconic reason stated. 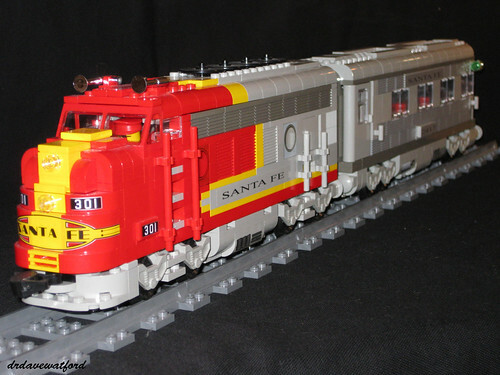 Both sets were far ahead of their time if you look at all the train sets that were made until LEGO finally achieved a new level of realism with 10020 Santa Fe Super Chief, which is probably more beautiful than the previous two, but has a lot of years of prestige to make up for. ^ agreed. I'd put the Super Chief third on my list I think. Owning a full rake of coaches makes it look awesome. DrD will wince when I tell him how much they cost me on clearance a few years ago...with those lovely trans-clear macaronis in the observation car! Thanks for all the information and opinions in this thread. Check out my LEGO TRAIN HARRY POTTER HOGWARTS EXPRESS LONGEST EVER 37 CARRIAGES on youTube The Hogwarts express is a good starter engine and can be bought reasonably cheap on ebay although you will need to convert it to 9v or battery. Damn! you lot for being right. Now i've got to order the Emerald Night. So looks like my collection will consist of this and the Cargo set (already ordered). Santa Fe ehhh? Have to look into this but suspect it long been retired and therefore mega bucks to buy - if I can find one complete with box! Not really clued up on the trains yet, as you can tell, but need to identify the different power systems etc. Is the track gauge the same on the old & new systems? (ie. could you convert say the santa fe to run on the new track?) These and many more questions need to be answered !!! The track guage has never changed since the 60s. The power systems have and they are definitely not all compatible. That said, I'm sure you could easily modify a Super Chief to run a PF motor and battery, as from memory it has sufficient space inside for the battery box. And yes, it has been retired for some time unfortunately. I love that set ! OK, i'm in big trouble if SWMBO finds out......not only have I ordered the Cargo set, I have just ordered the Emerald Night to take advantage of the free shipping and the fact you lot have scared me in it going out of production before I get round to ordering! Yes! The Emerald Night is a very nice train. It reminds me of my favorite train, the 7750 for it's style. I'll have to buy another one too if they are going out. But the best train is the Super Chief. Sadly, I built my Super Chief but I'm scared to run it even once because the prices are into stupid money now. I really dont understand the business reasons for not selling stand alone coaches?Please explain this to me. ^As I understand it, it's not profitable enough. LEGO only have so many product slots every year, and their return on other sets of comparable size is greater. ^ I believe that is correct; it boils down to the opportunity cost. That is to say: is it more profitable to create and sell a set that doesn't standalone by itself, or make a set that can be sold on its own merit? In the case of train cars, the audience is limited to those that would first buy the larger, more expensive train engine/set before they might even consider the cars. 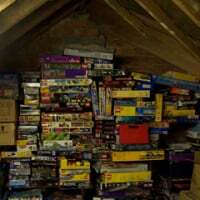 While there are certainly AFOLs that would buy them en masse, it does not approach the buying power of the broader audience of LEGO customers. Lego has sold accompanying cars in the past, and they will do so again, but they won't do it every time, and in this case, not for an exclusive set such as Emerald Night that never saw large distribution. FYI: Toys R Us is having a buy 1, get 1 50% off sale today 4/9 for city sets, and it includes the two trains with power functions. So for @gold682 who started this thread - it might be a good time to jump on board! Check out my LEGO TRAIN HARRY POTTER HOGWARTS EXPRESS LONGEST EVER 37 CARRIAGES on youTube. 1. Where abouts is the platform for boarding this train? 2. Where is the train going? 4. Why 37 carriages? (you can still fit one more one there you know). 5. Why isn't the dog riding the train? Sorry for my slightly bizzare take on this post, but thats pretty impressive in my book. And I thought my 10 octan tankers on the cargo train was bad enough. Anyway, If you only have limited funds to play with, then go for Emerald Night and Cargo Trains first. I would expect them to increase the most after production ceases, and as mentioned by others, making them almost too expensive to buy at a later date. This probably doesn't help much, as you'll might end up buying some of the older sets anyway (and pay a mint on ebay like I did). I would say it scores a bit higher due to price difference, because the Cargo train, IMO, has many more play possibilities for children than the Passenger train (on a side note I really cannot wait for that new harbor set with the grain, or cargo, unloader.. looks a bit like the old public works center but with a boat). But right now you can actually get both via the TRU Buy one get one 50% off (if they have not sold out as I write this) It costs a bunch if you get two cargo trains, but in some weird way it feels better paying 145/each for two, instead of 190-200 (after sales tax) for one. I like most on the site got my start late and built my collection since. I remember growing up and wanting sets like the 7722, and the 4563 when I saw it at a TRU but just never wanted to justify paying that much for one Lego set (heh) but then I got a 4561 and everything changed, now I am missing only about 4 sets from the old pdf of the electric train sets . I have had fun to, from buying lots from Australia to get the old 7730 and 7740 train sets (those were epic lots, with lots of 12 v train stuff) to trying to get good deals on the sets with boxes..
Hi all. Wonderfull forum. Answered a few of my questions already, however one springs to mind. I have seen that the 9V tracks and new RC tracks are very similar in all respects apart from the metal, but can they be used together? If one was to purchase/find som 9V tracks, can I use it together with our new trains. would love to get to use this track one day. ^ Good catch. I even have the TS3 train, so no excuses ! Hmmm... after reading this discussion I feel that I have been seriously missing out on Lego trains, which seem too great to miss. So I have now purchased 2 Emerald Nights, a Maersk train and a Cargo train. Does anyone have any suggestions for a great layout (6 feet square space max), other than figure of 8 or oval?? Although the Santa Fe Super Chief does looks mighty impressive!! I have to 2nd the 7740 Intercity Train as the best of the 12V trains. And speaking of 12V trains... I have a question for the Aussies/Asians on this forum... the 12V blue track series of trains (1969-79) were sold strictly in continental Europe. And when the gray track 12V trains were introduced... were they sold in Australia and/or Asia? I know they were in Britain/Ireland (as well as continental Europe), which usually means also that they were sold in Australia. But I wanted to verify that? I know that in the USA/Canada market none of the 12V trains were ever sold there... in fact VERY few trains/wagons were sold in USA/Canada (push and 4.5) during the 12V years of 1969-93. And I'd agree with everyone else that the new passenger train isn't great, go for Emerald night, then cargo train, then the harry potter one as it's so cheap, and I'd recommend the tram as your passenger train, as it's really nice looking, although I've yet to see one motorised. I dont really count the 8404 tram as a train. It is more of a "streetcar" type vehicle. I have the set and though it is very nice, and I do in fact have it with my other trains on the shelf it to me is not the same. I guess it is in the eye of the beholder as to what you think it is. As far as motorizing it, It uses the smaller wheels so I would think you would have to do some significant customization to get it to work. and if you put the larger wheels on it I think i would not look right. Not saying it cant be done, just has less room all around for the motor/battery box/ir receiver. I'm also thinking of branching out into Lego Trains, so far I only have the 2004 Hogwarts Express. I'm wondering if the Emerald Night, 2010 Hogwarts Express, Maersk Train, Cargo Train or (not a train, but I really like it) Public Transport. Does anyone know how soon Public Transport is on it's way out? Does anyone have any suggestions for a great layout (6 feet square space max), other than figure of 8 or oval?? @zuma, there are several track layout tools available but most are no longer supported. Bluebrick is a great tool and the one I use now. It's writen by Alban Nanty (an AFOL, obviously). You can manage a nice layout in a 6-foot square space. Bluebrick allows you to try out ideas without having to get all your track out! I'd say 8404 (Public Transport)has another year or 2 left as it only came out last year, but that is based on normal supply of sets.. 'Exclusives' are another story, but I believe the Lego TRU truck has been out longer and they still have them out there. The Emerald night is the one you should focus on, as it is on its way to being retired (by all appearances) and when retired is most likely to climb higher in price due to the specialized parts and uniqueness of the set IMO. You can get it at Amazon.com without having to pay shipping or tax (tax depends what state you are buying it in) The price has been going back and forth from 95-100 dollars.